Having the right preventative maintenance equipment is crucial for proper plant operation. This is especially important for insulation testing, where having an unreliable tester can mean the difference bewteen exceeding business goals or incurring costly downtime due to equipment failure. But, what constitutes the right equipment for insulation testing? The right device should be portable and rugged, with built-in features to enhance and optimize insulation validation. Introducing the MY600 Digital Insulation Tester. 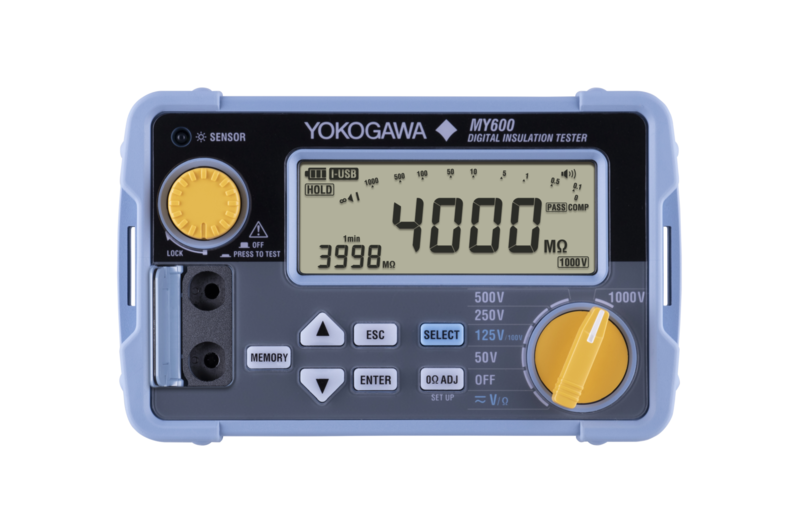 Featuring improved voltage/resistance test ranges, measurement response times, LED backlighting, and automatic PI/DAR calculaitons, the MY600 is your best bet for ensuring peace of mind in your plant activities.